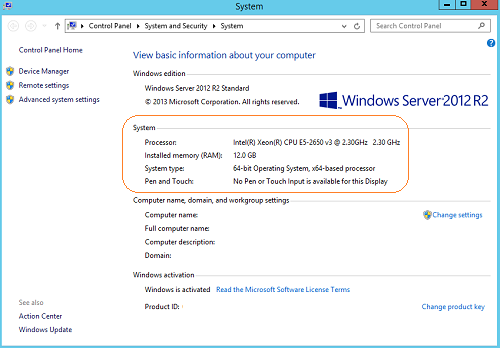 How to view system properties on Windows Server 2012? I just want to get some basic information about the system. 1. On Windows Server 2012 Start screen, right-mouse click on "This PC" icon. You will see a context menu displayed. 2. Select "Properties" in the context menu. You will see the system properties screen displayed.